Keep Warm Air In, and Cold Air Out! January and February are typically the coldest months of the year in Virginia. If you have trouble regulating the temperature inside your home, it may be a good time to invest in spray foam insulation! 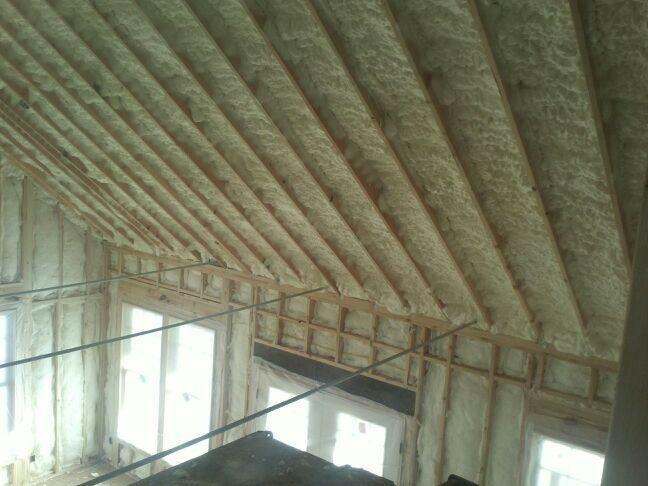 Spray foam insulation is the perfect solution for keeping warm air in and cold temperatures out. Made from a liquid foam that can expand up to 100 times its original size, spray foam is an environmentally safe and non-toxic way to insulate your home. Unlike traditional insulation, spray foam is installed by directly spraying the polyurethane foam onto the wall and floor cavities. It can also easily seal hard-to-reach places around electrical outlets and light fixtures. Spray foam is known for its ability to significantly reduce utility costs compared to other types of insulation. Its environmentally-friendly status will make you feel good about what you’re putting in your home. Contact Creative Conservation today for a free estimate for spray foam insulation in your home! This entry was posted in Energy Conservation, Energy Saving, Open Cell Foam, Spray foam and tagged cost effective energy solutions, energy, energy conservation, energy efficient, spray foam insulation. Bookmark the permalink.